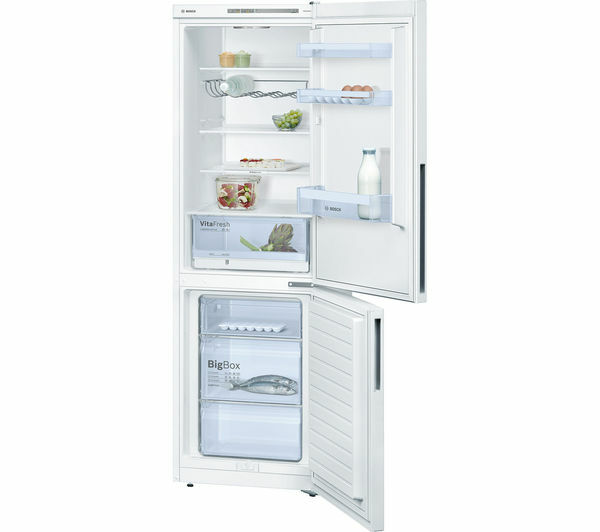 The KGV36VW32G has four fridge shelves, providing plenty of room for your food. The CrisperBox makes it easy to keep fruit and vegetables crisp and fresh, with a slider to increase or decrease humidity. 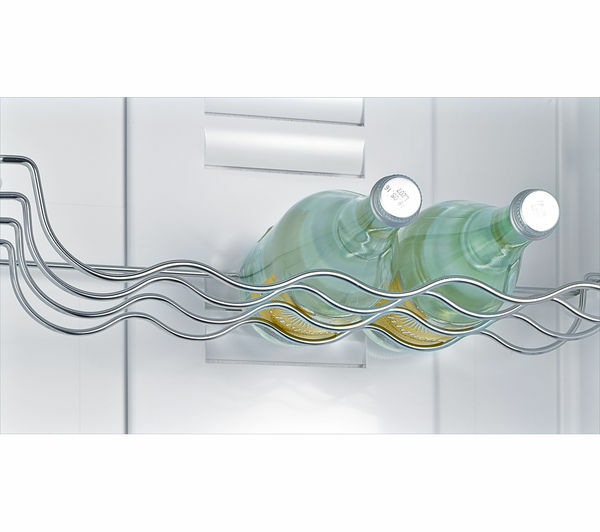 Chill your wine in the wine rack, and keep your eggs safely cooled in the egg rack. The 94-litre freezer compartment has three compartments to let you freeze your food, whilst the clear drawer fronts make it easy to find the items you're looking for. 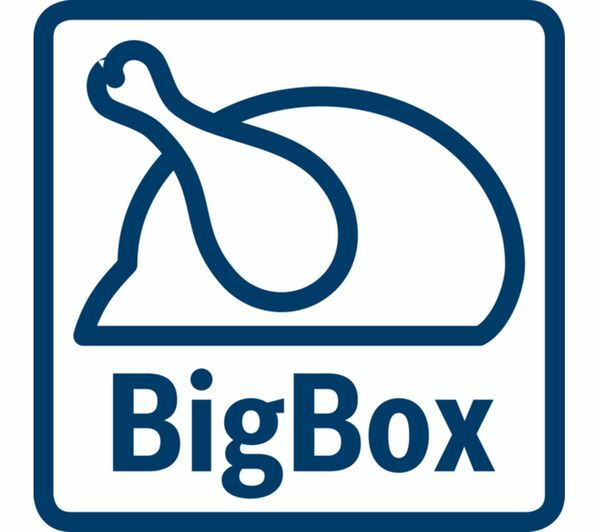 The middle freezer drawer is a BigBox drawer that offers large storage space so you can freeze larger items, such as larger boxes or large joints of meat. 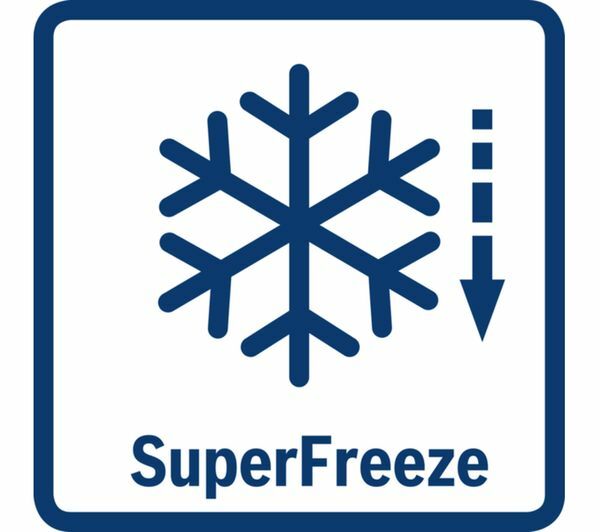 Keep your fresh and frozen food in peak condition for longer with the smart white Bosch KGV36VW32G Fridge Freezer in your kitchen, with a VarioZone design that provides flexible storage. 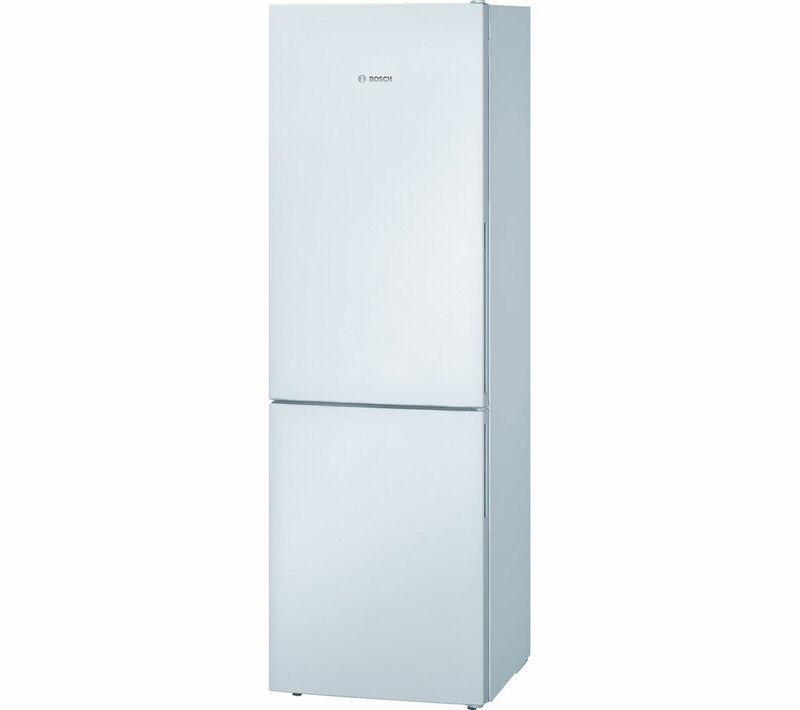 The KGV36VW32-G cuts down on half the ice build-up, which means half the work taking care of your fridge freezer. 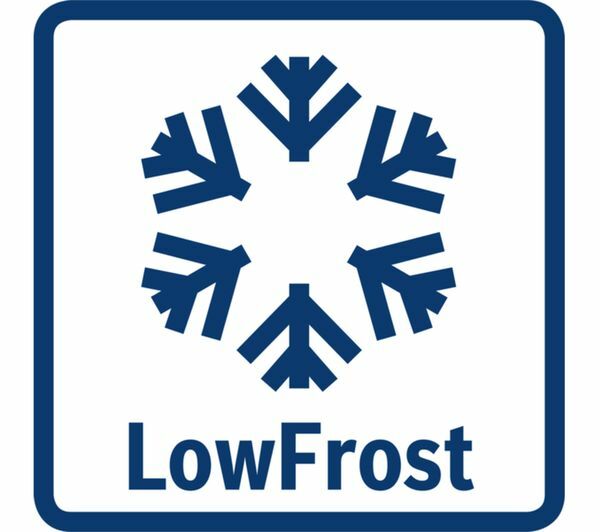 The LowFrost technology cuts down ice build-up, which helps to keep energy efficiency high and maintenance low, so you can save time and energy when you need to defrost your freezer. LED lights in the fridge provide bright light that makes it easy to see items inside the fridge. This makes it easy to find what you're looking for quickly and easily. 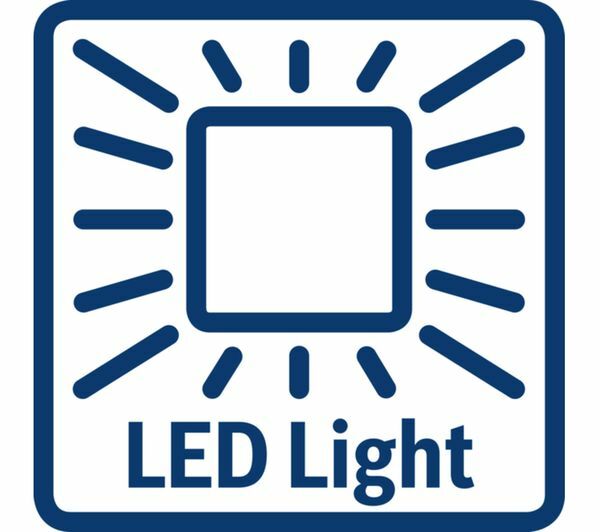 LED lights are also more energy efficient, which means you won't need to worry about the energy bills. With an A++ energy efficiency rating and a two-year guarantee, the Bosch KGV36VW32G Fridge Freezer is ideal for your kitchen. 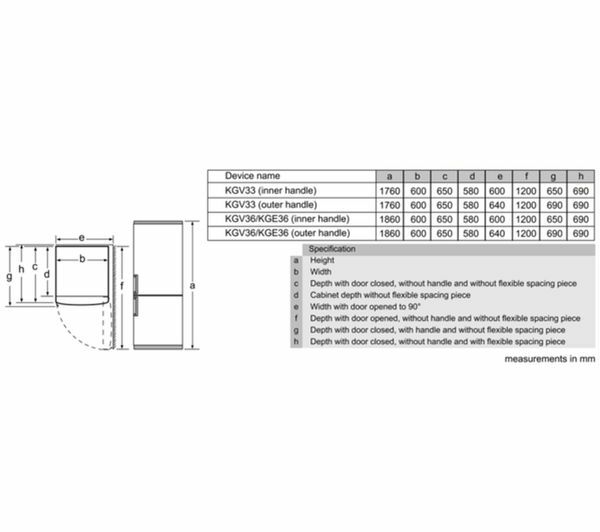 Reversible door hinges: This refrigerator has a reversible door - please consult with installation experts such as our Knowhow team to carry out door reversal. 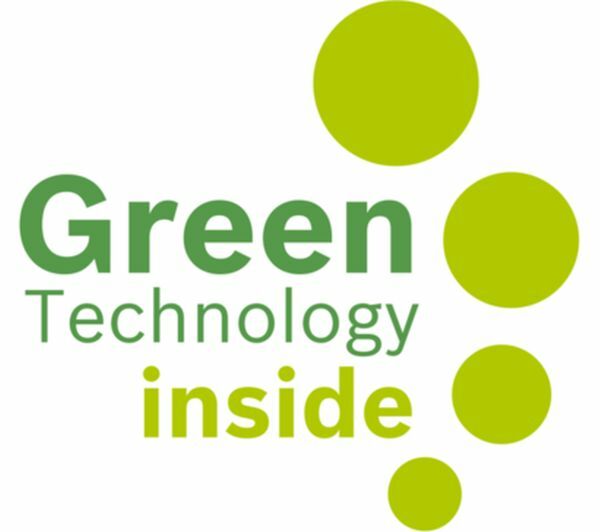 Some freezers, fridge freezers and wine coolers can have their door hinged on either side For most of Ireland, we can also install your new appliance on the day we deliver. Just add installation at the 'Confirm basket' page,charge applies. Hinge the door on the opposite side to the factory setting. 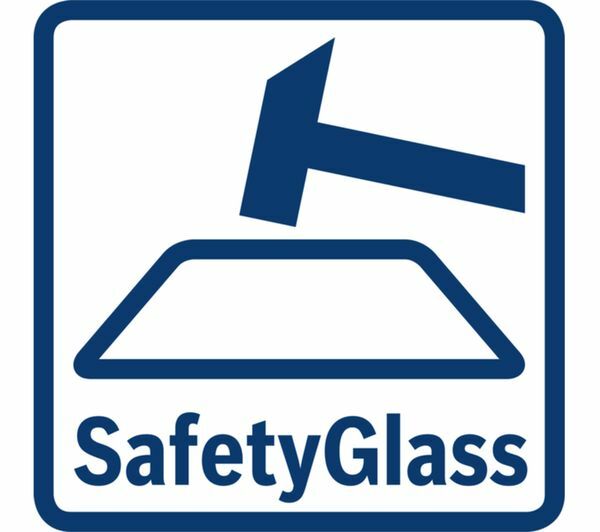 Safety-check electric and plumbing connections (water & ice models). Connect your new appliance to your existing connections. Test the appliance and make sure there are no leaks and that it's level. Take the packaging away with us. Please note: door reversal isn't available for appliances delivered direct from the manufacturer.